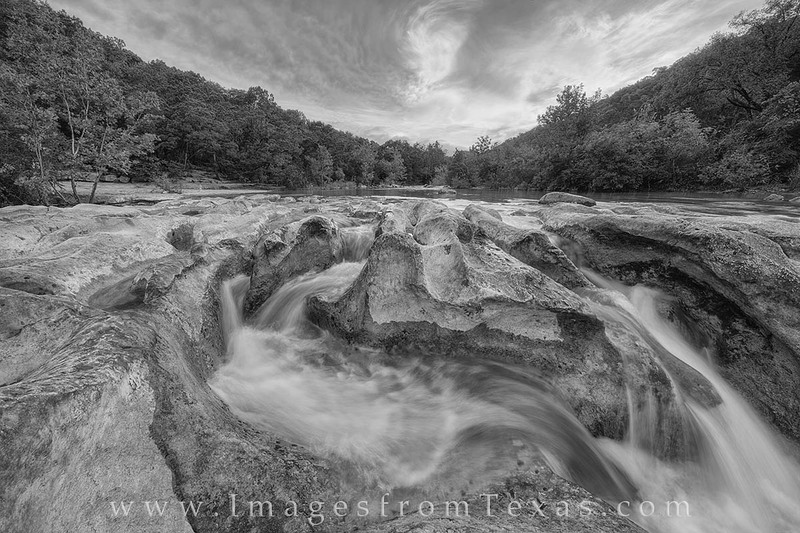 This black and white image of Barton Creek comes from Sculpture Falls on a beautiful September morning. Walking this Austin greenbelt is a favorite for locals, but if you get up early you’ll have most of the trail all to yourself. Photo © copyright by Rob Greebon.